When your day demands top-of-the-line protection and results, the 9" Honcho Waterproof Insulated Comp Toe Lace-up work boot will deliver. 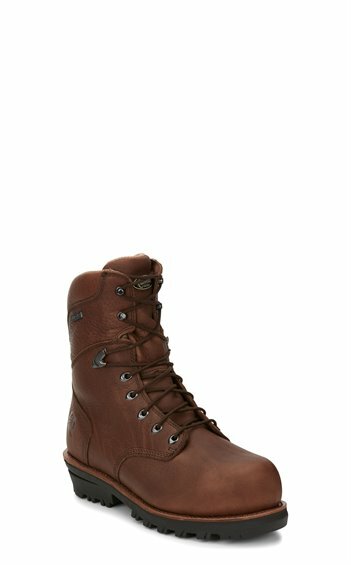 Insulated with 400 Gram Thinsulate Ultra® and featuring Chip-A-Tex® waterproofing for comfort, with a high-tech Vibram® Chippewa® Foreman outsole that's up to the task. This boot is equipped with the Chippewa UCM® insole and a strong Goodyear® leather welt. The Comp Toe and ASTM F2413-11 Electrical Hazard rating give you the protection you need.